Batman has long-patrolled Gotham, and Superman Metropolis, but the present and future vigilante to claim the streets of NYC is Robin Hood. The Robin Hood of English folklore robbed from the rich to give to the poor as the greedy Prince John overtaxed King Richard’s kingdom. But the Robin Hood of NYC is a fresh, fierce brand leading a band of merry men and women crusading the streets from a pivotal platform – The Robin Hood Foundation. Since 1988, this group has redefined riches- the days of inanimate objects serving as prized possessions are over. Today they welcome the search, funding, and creation of programs and schools that help countless Americans learn and earn their way out of poverty. 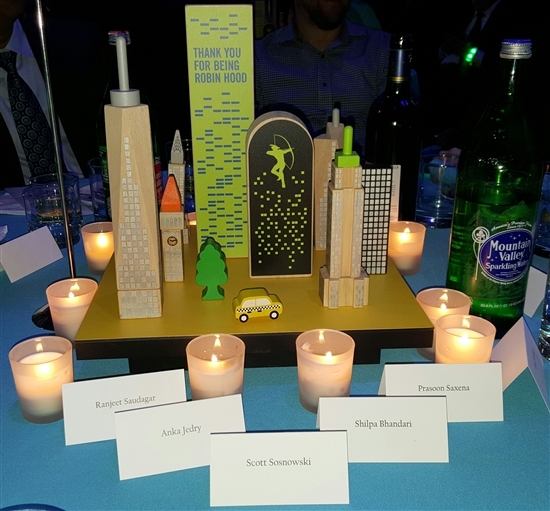 On May 9, Dell Services joined native New Yorkers and advocates in the proverbial concrete Sherwood Forest at the Javits Center, which boasted neon keyhole grand entries with a yellow road leading to skyscraping bars and a twinkling sky. 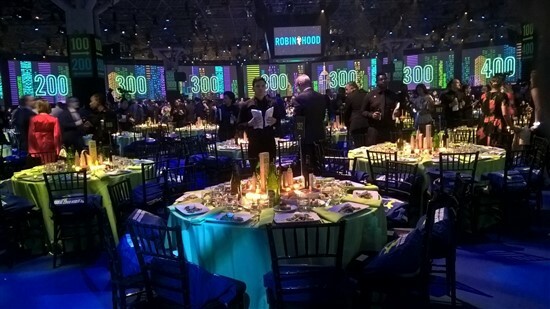 The fantastic lighting was not all that glammed-up the agenda, as celebrity appearances and support from host Katie Couric, performer Zac Brown, Governor Andrew Cuomo, comedian Jim Gaffigan, and singer Usher left attendees star struck. Despite the razzle-dazzle of the clout in the room, the message was clear: #NYC4NYC – where you could simultaneously grab a cup of Jo’ and contribute to a cause focused on shaping up the ‘hood and changing the lives of those striving to rise from poverty and improve their families. Social responsibility is ingrained in Dell culture, and it has become incredibly easy to collaborate with customers that endeavor to accomplish the same goals. Robin Hood is unique in that they don’t tout corporate sponsors, but keep the spotlight on evolving and paving the path for opportunity. “It’s inspiring and invigorating to hear the accomplishments of participants in the program, and that there are so many advocates resolved to make this succeed,” said Scott Sosnowski, vice president of Dell Services. Robin Hood extends beyond programs that focus on educating children and enabling the homeless. Programs include educating parents on engaging in deeper ways with their children during the most formative stages of brain development. Developing positive contributors to their family and society begins with investing in the development of the finest minds around in a “…fast and furious way, like the uncapping of a fire hydrant,” as Jacklyn Bezos described the efforts. For example, stimulating the brain of infants can be accomplished during times many parents may not even realize. On average, a child requires about 8,000 diaper changes; that is 8,000 opportunities to talk, play, and teach a child for a few moments. Thank you Robin Hood, for championing an end to poverty, and for allowing Dell Services to support the Night for New York gala.